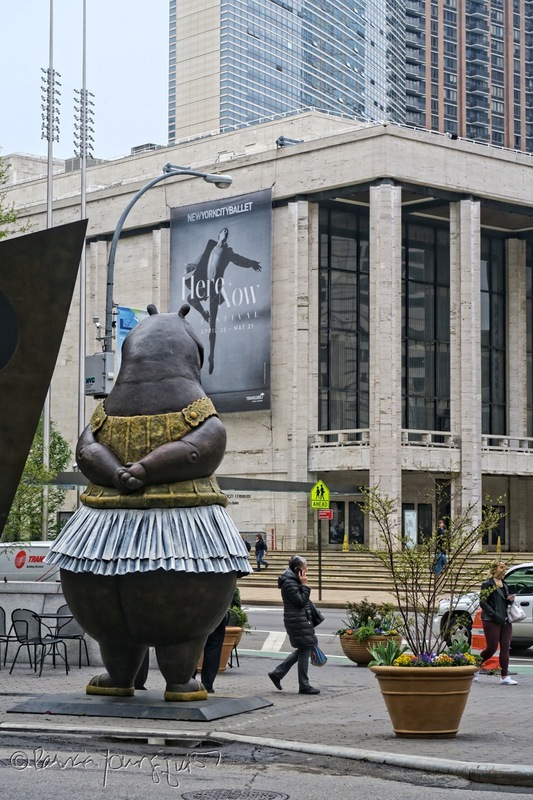 The Last Leaf Gardener: The Hippo Ballerina isn't the first NYC hippo! 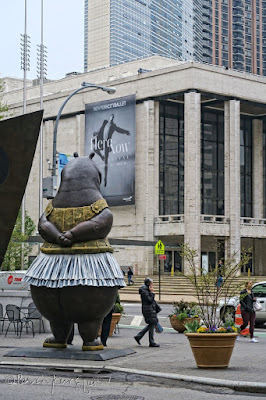 It's been nearly three weeks since Bissera Antikarov posted an image on her FB Page of NYC's hippo ballerina featured in the photos atop this entry which I took this past Thursday, when I went to visit the statue. which he describes in a video posted below. 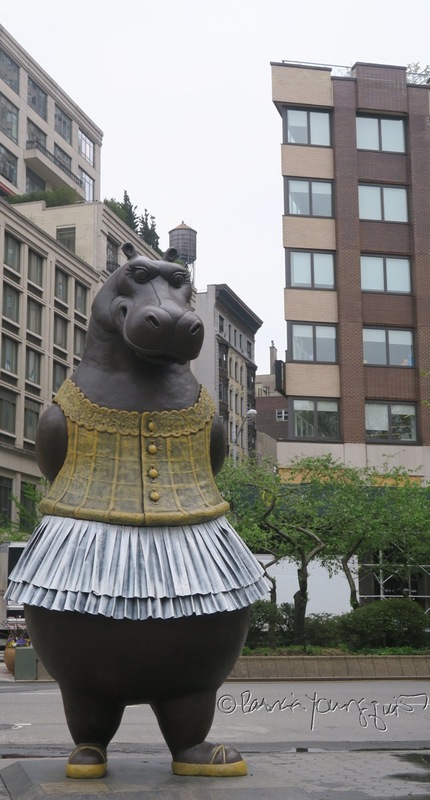 And a web-page for Smithsonian states "If Hippo Ballerina reminds you of something, she’s supposed to. Not only does she harken back to the “Dance of the Hours” sequence in Disney’s Fantasia, which featured dancing elephants, crocodiles and, yes, hippos, but she’s also partially based on a much-talked about sculpture from the late 19th century. Edgar Degas’ Little Dancer Aged Fourteen incensed critics when it was unveiled in 1881, in part because of its realistic not idealistic depiction of its bony, almost impossibly young subject. 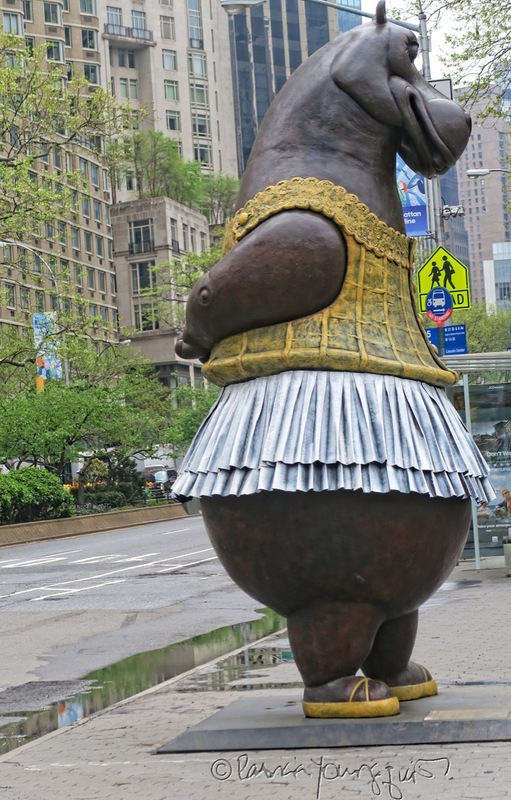 The sculpture was put in storage after it was panned and was only rediscovered after Degas died 36 years later." 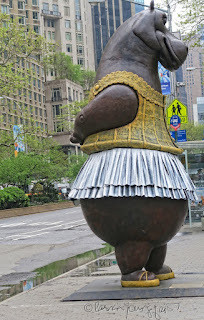 It was truly a joy to see this sculpture and I thank Bissera Antikarov for bringing it to my attention. 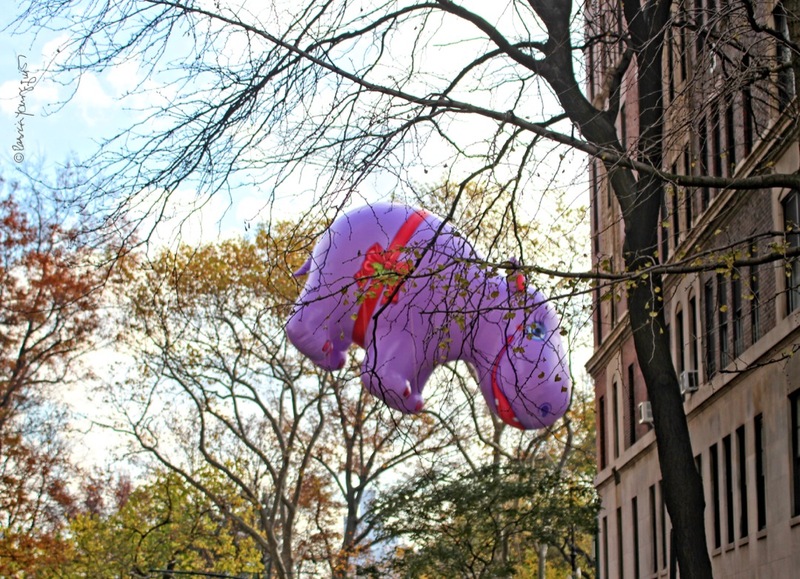 I live very near to Dante Park but could've easily missed the opportunity as i usually walk on the opposite side of the street (this is a common way for New Yorkers to miss things). 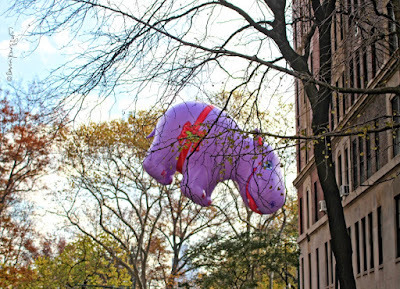 who has been represented in balloon format at The Macy's Thanksgiving Day Parade. 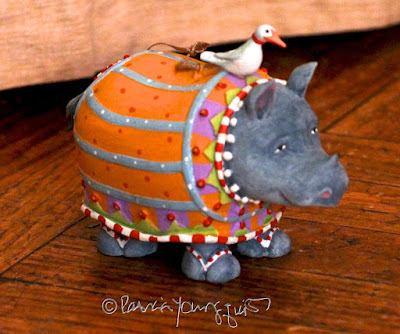 Additionally, a hippo figurine has visited my home over the years and she can be seen in the following photograph. When it comes to picking hip hippos, I would certainly include the ones here! 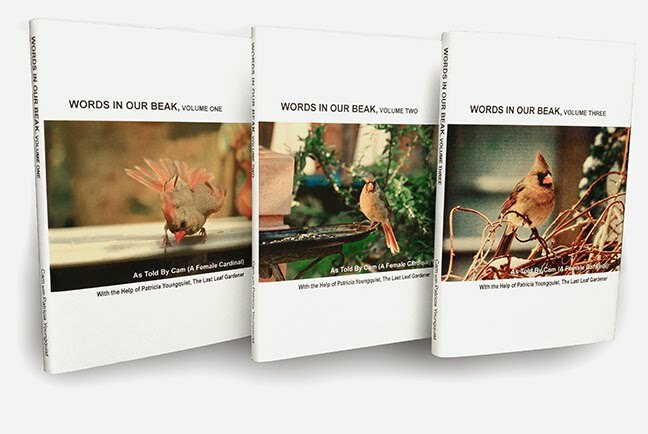 ADENMENDUM: As of March 2, 2018, Words In Our Beak Volume One, is no longer available in the digital options listed here. 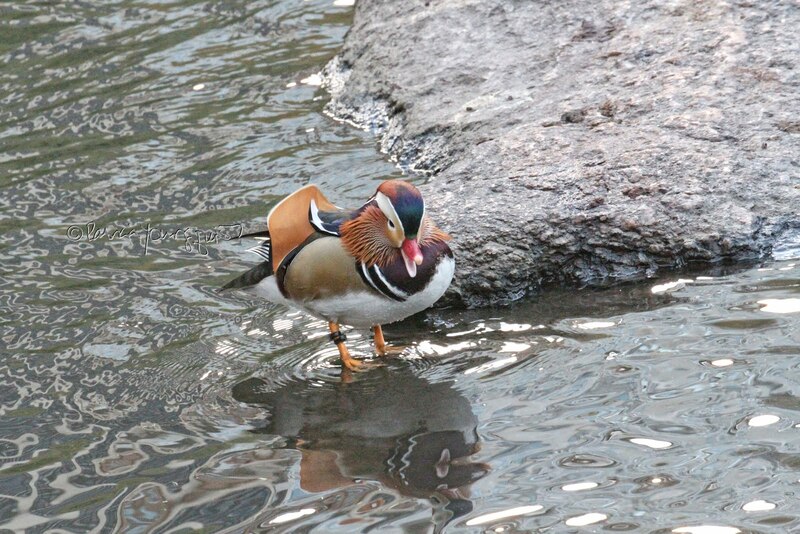 A new digital option should be available sometime in the near future. Updates will be made when this happens, please stay tuned.